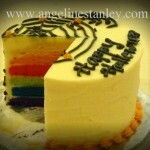 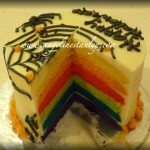 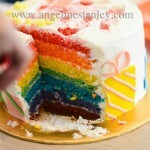 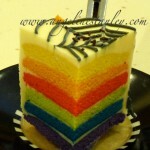 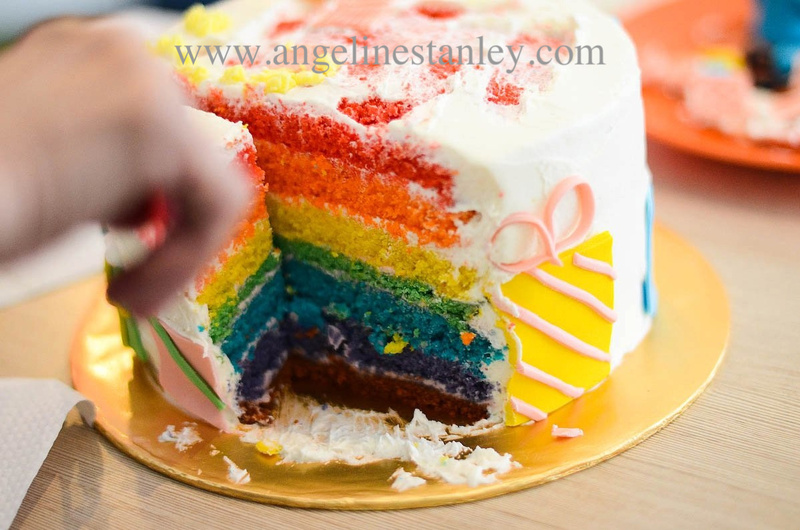 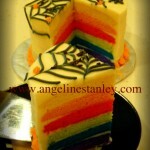 Colorful 7 layers of rainbow colors sponge cakes stacked in between. 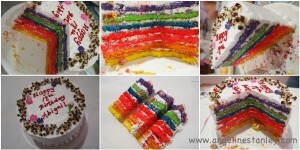 You will definitely put a small on the birthday boy/girl’s face! 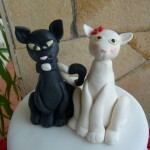 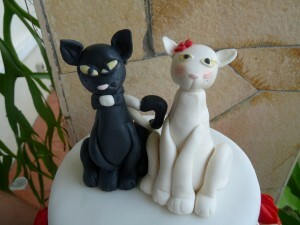 A romantic 2 tiers cake topped with lovely cats. 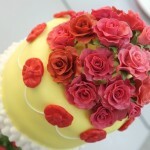 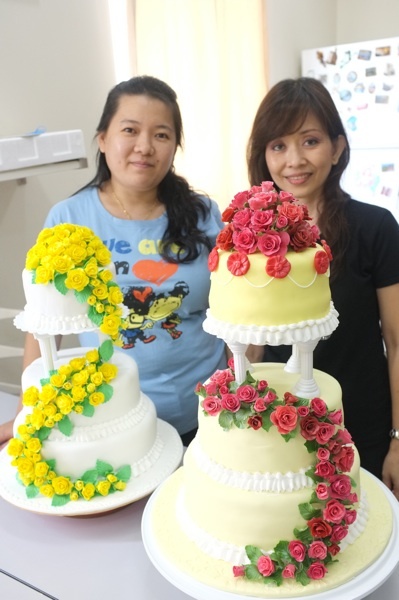 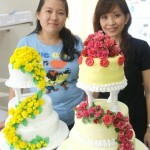 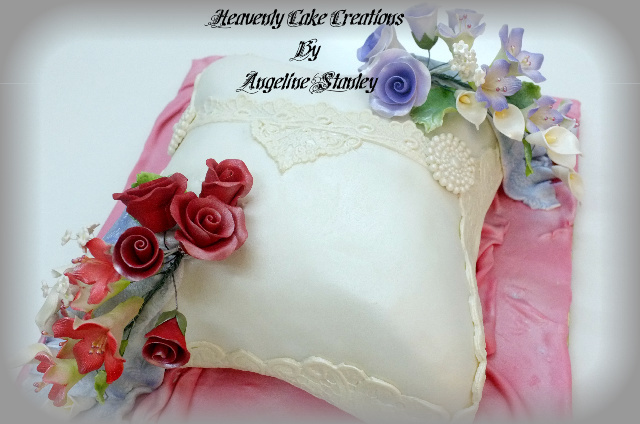 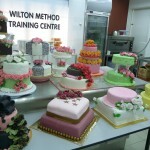 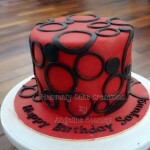 Click here to view more Wedding & Valentine’s cakes. These delicately decorated blooms and butterflies make the perfect sweet treat for guests at your wedding, engagement or garden party. 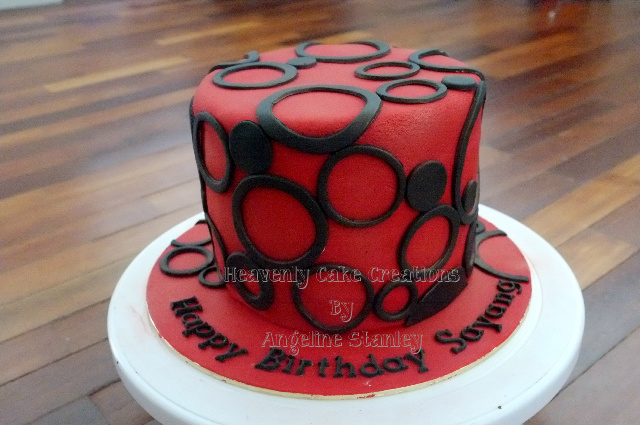 There is so much variety in design, that each is almost one of a kind and be designed to match any theme or colour scheme. 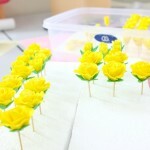 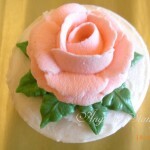 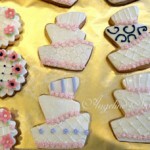 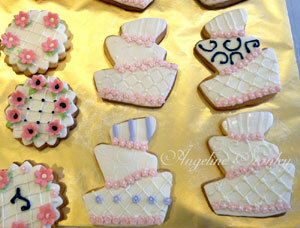 As you plan your big day, how about giving your guests a special surprise -a beautiful handmade wedding cookie. 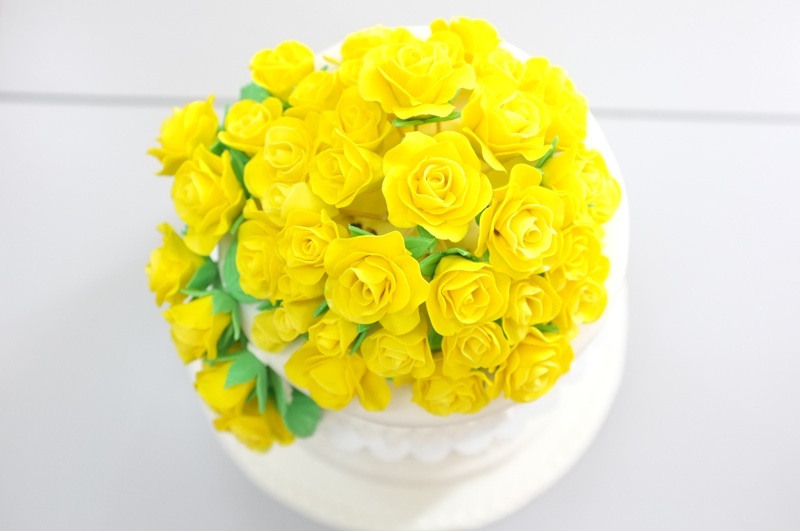 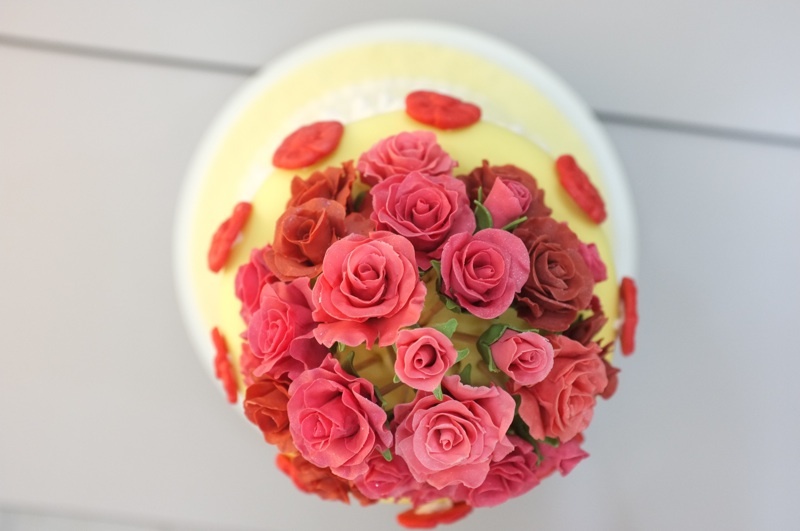 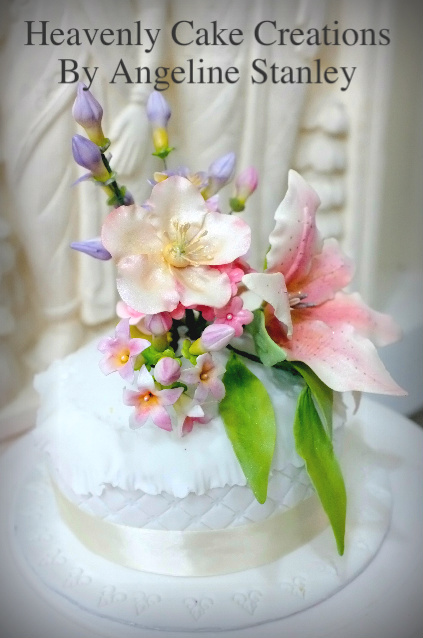 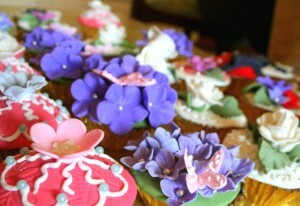 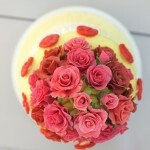 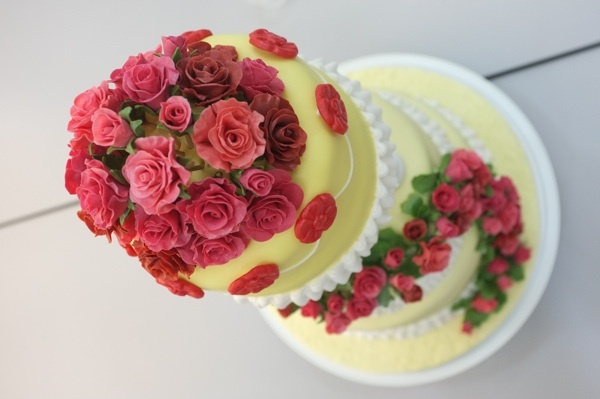 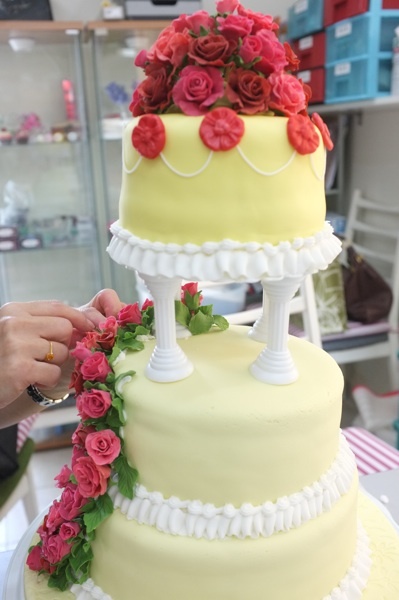 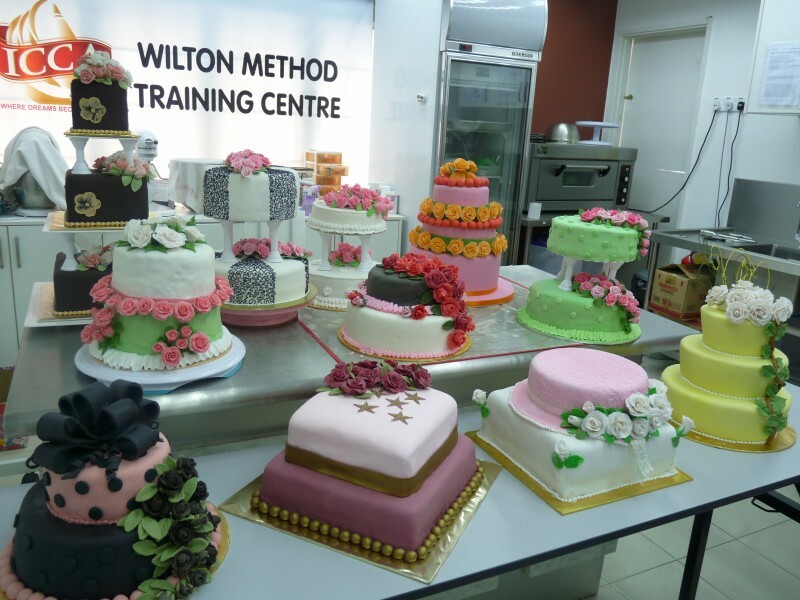 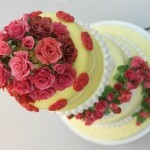 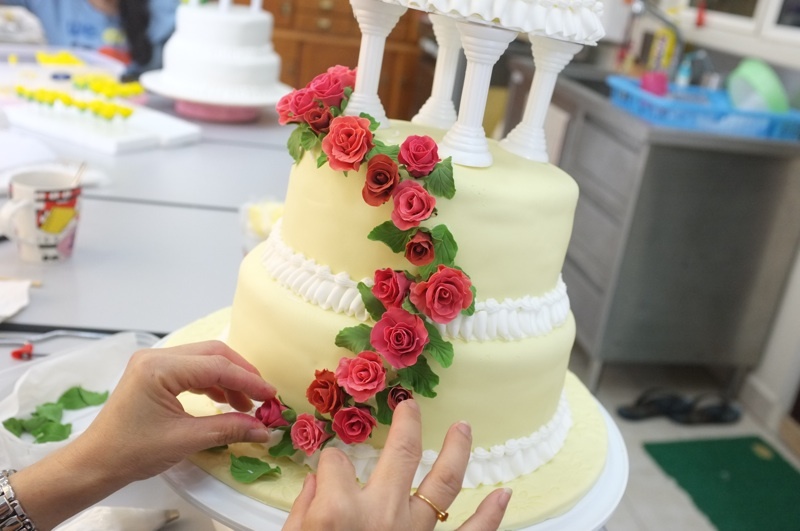 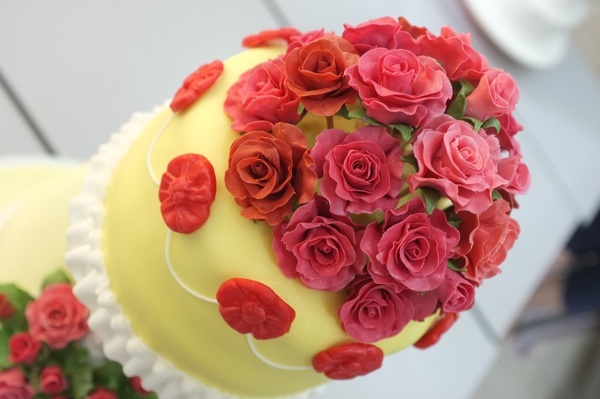 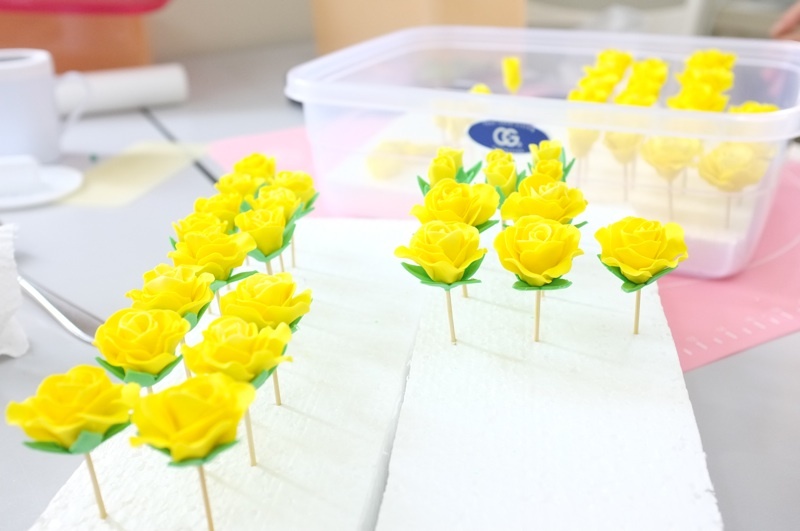 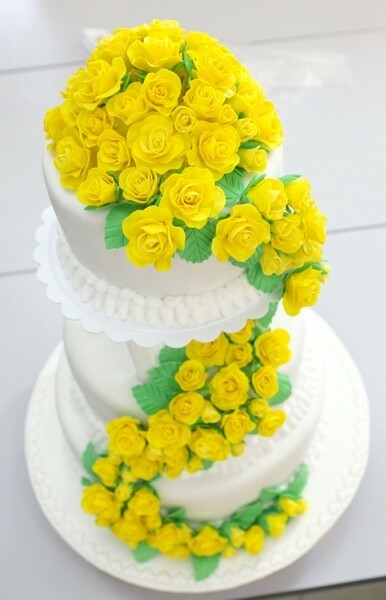 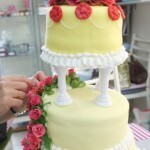 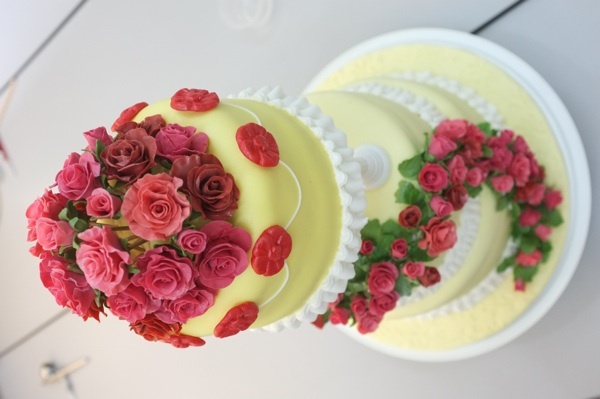 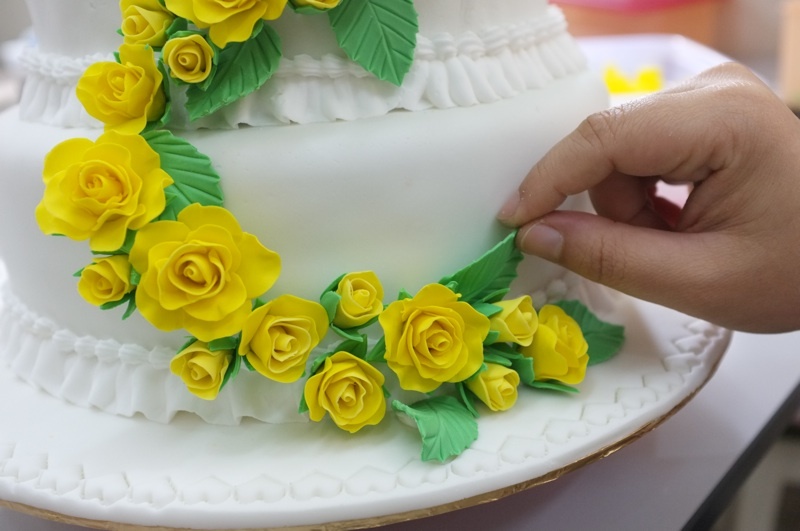 Cakes and flowers, brides and grooms, or your own original designs – they all still taste delicious! 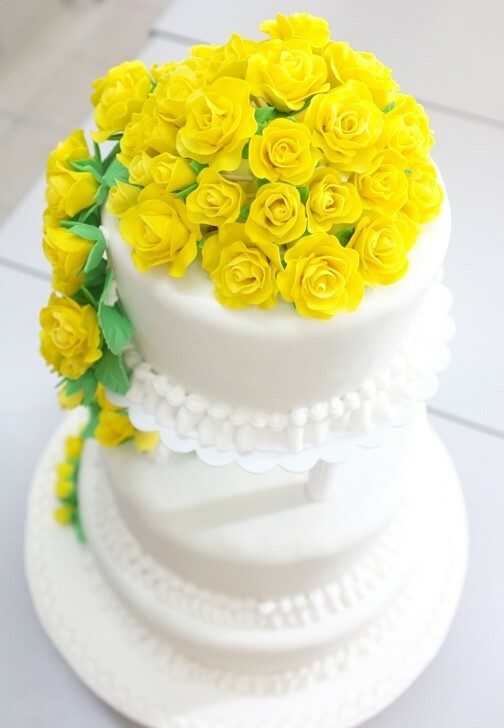 You’ve waited your whole lives to find each other. 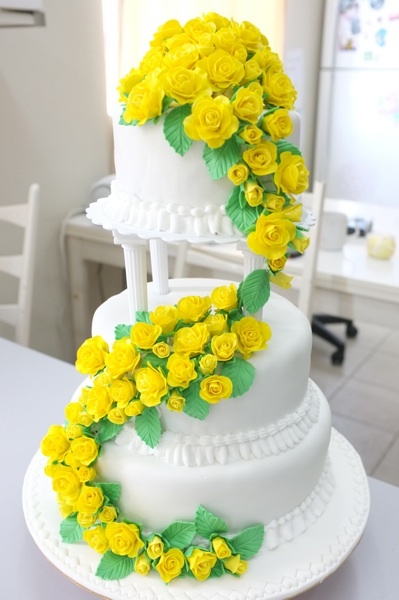 You are a couple that is completely unique, so why should your wedding cake be like any other. 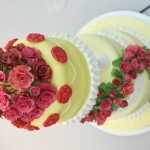 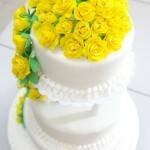 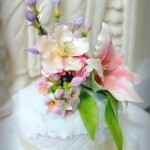 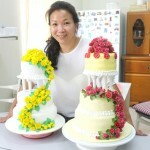 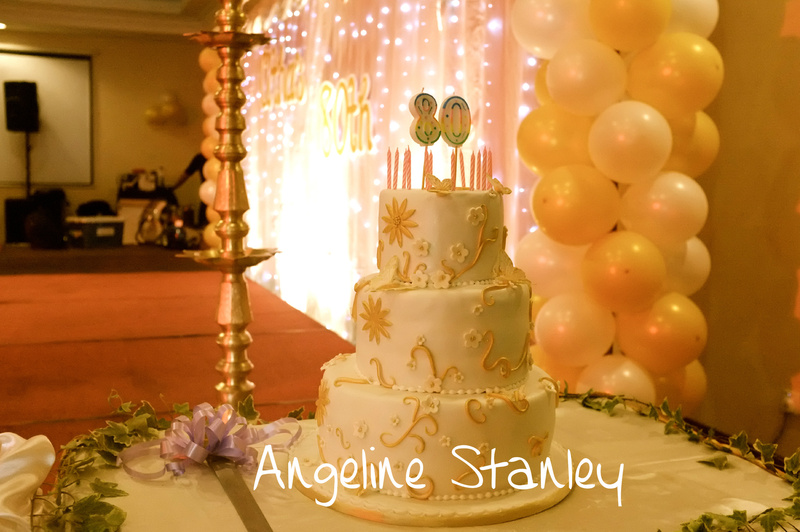 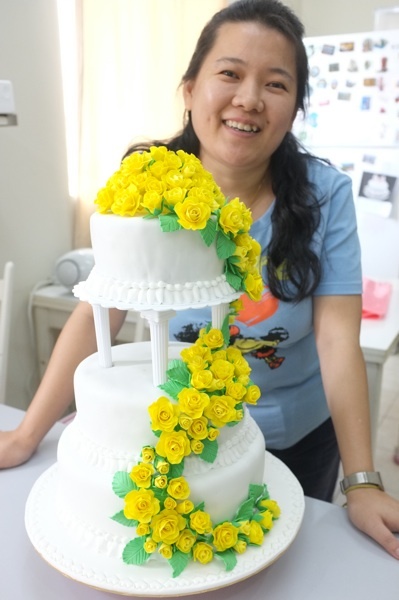 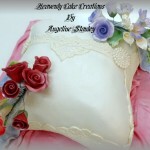 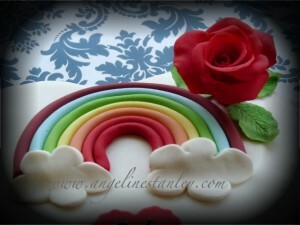 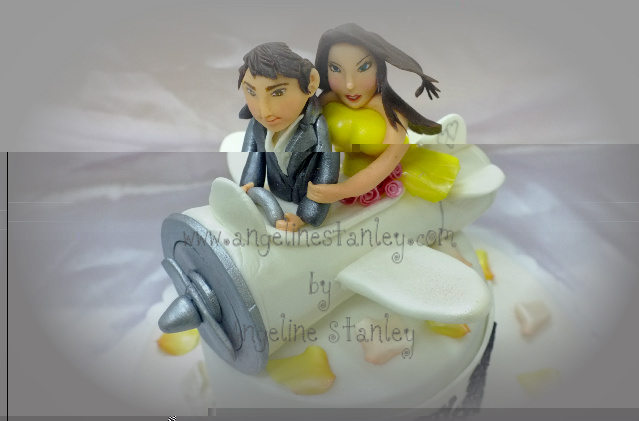 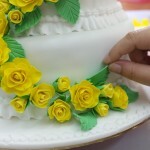 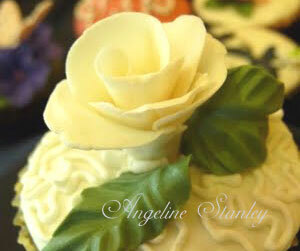 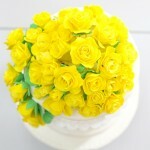 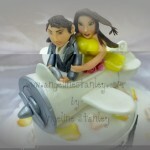 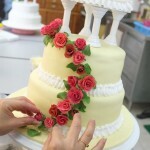 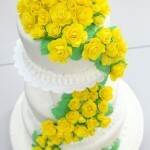 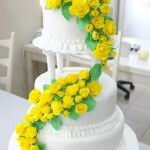 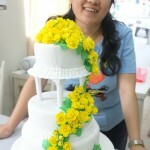 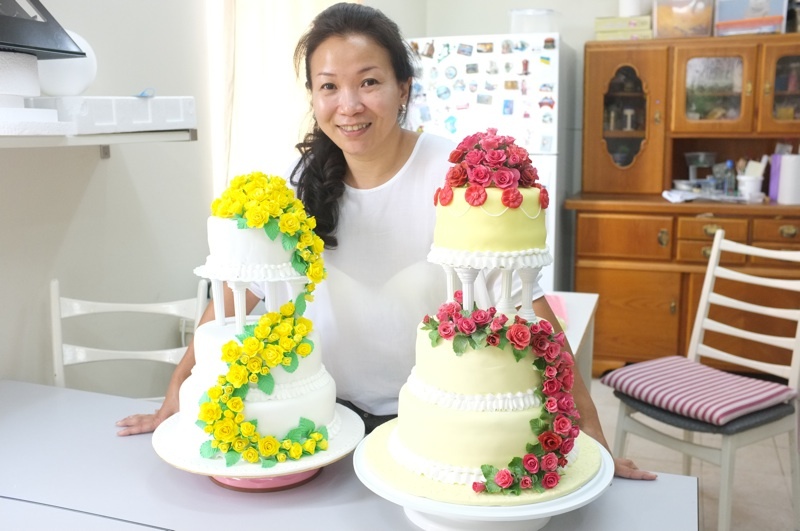 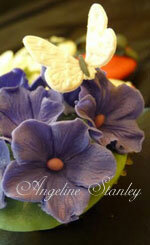 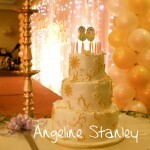 I love to talk to couples to find out exactly they want for their wedding cake and to set about making it a reality.